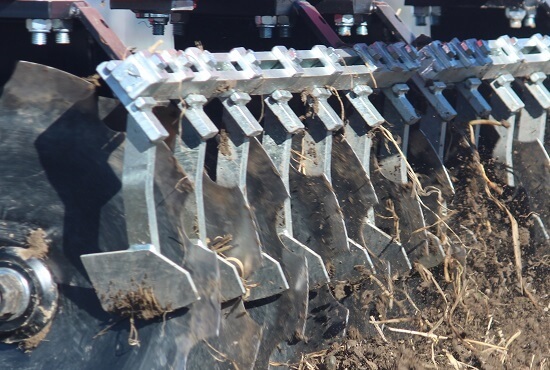 Rata Disc Cultivators feature heavy duty scrapers to cope with demanding conditions to keep the Blades clean at all times. 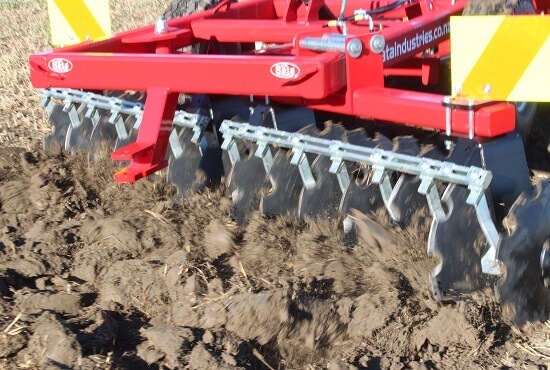 Disc blades are made from high quality high carbon steel & are available in either 6mm or 8mm thick. 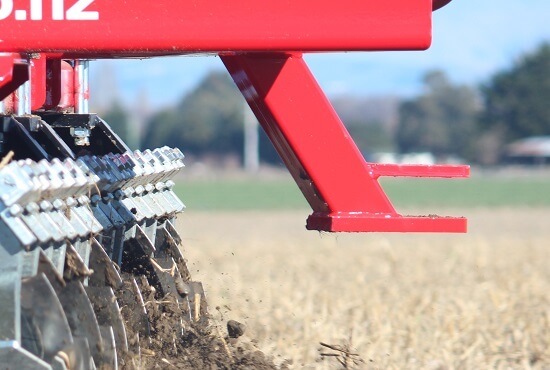 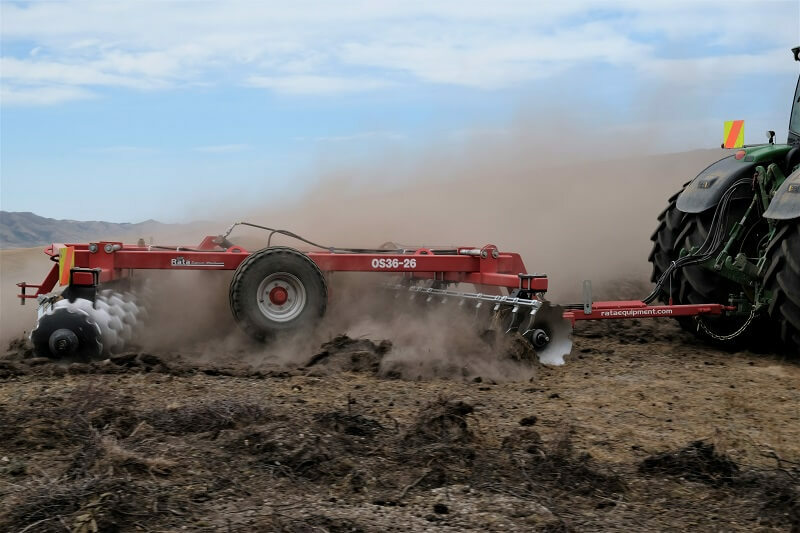 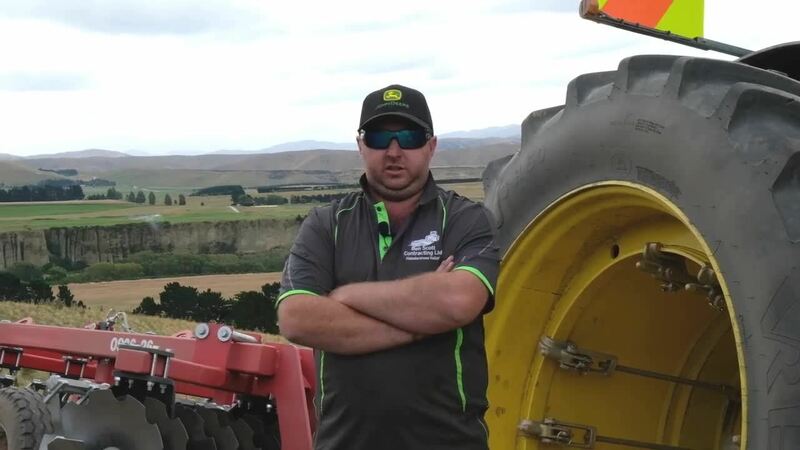 The rear draw bar of the Rata Offset Disc design allows the operator to pull additional implements at the same time as the Offset Discs, the ability to pull harrows or a roller allow you to prepare the soil for seeding in one pass. 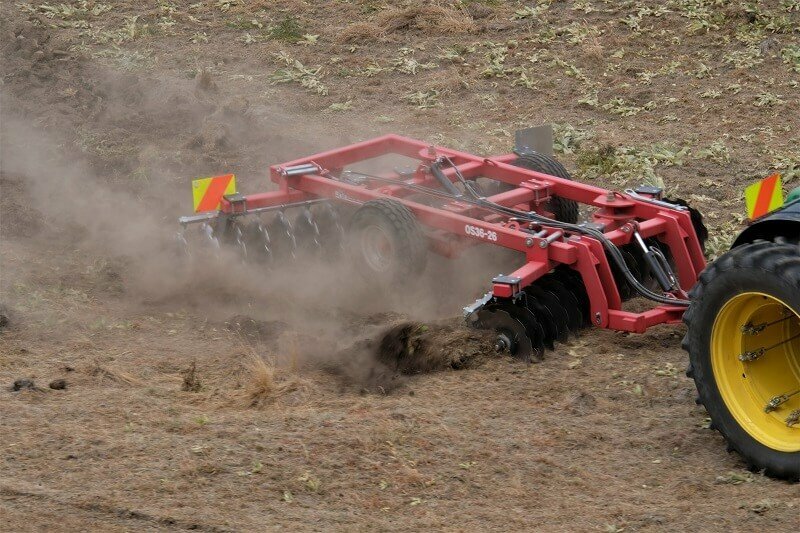 Transport wheels are controlled by a powerful and solidly built ram to cope with the heavy disc weight when in transport and when in travel over bumpy ground etc. 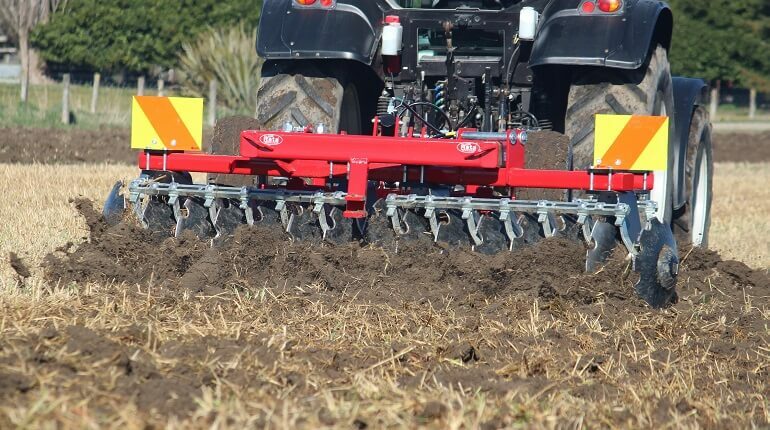 Gangs on Rata Offset Discs are adjusted by a hydraulic slider, the gang slider is adjusted by a powerful hydraulic ram to acheive the desire angle of cut with minimal effort from the operator. 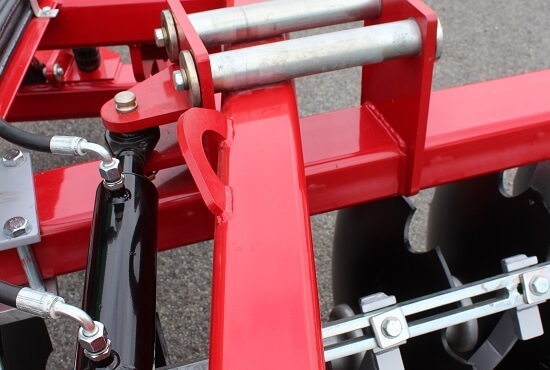 The disc gangs on Rata Offset Discs are secured at one end the the frame with a heavy 50mm diameter pivot pin. 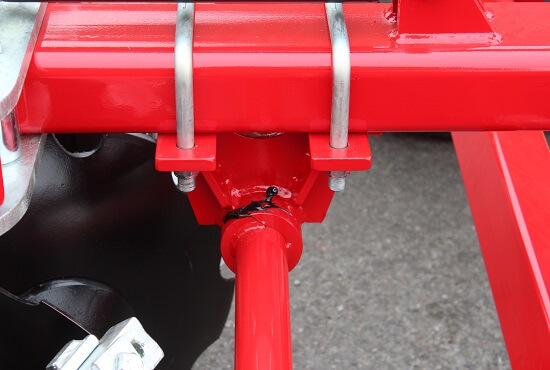 This combined with the gang sliders being secured to the main frame ensure the Discs get the job done in the toughest conditions. 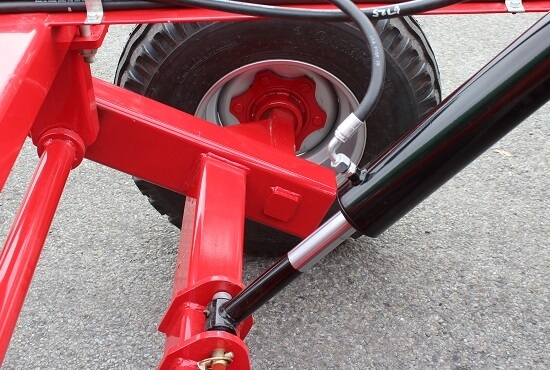 A disc gang adjustment spanner comes complete with the discs as standard to make gang adjustments easier, laser cut to the specific dimensions of the axle nuts it enables you to make adjustments in the field without extra tools. 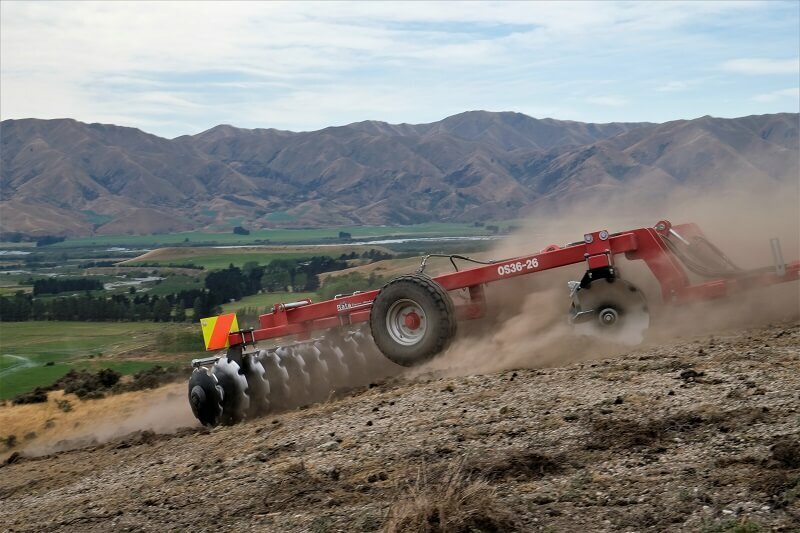 Rata Disc's feature the original Willett bearing system. 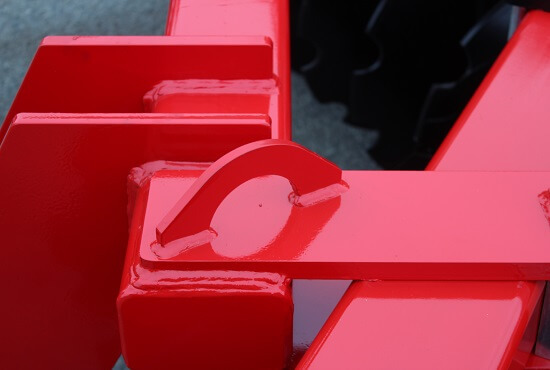 Willett bearings housing are SG stee which is more flexible than conventional cast iron. 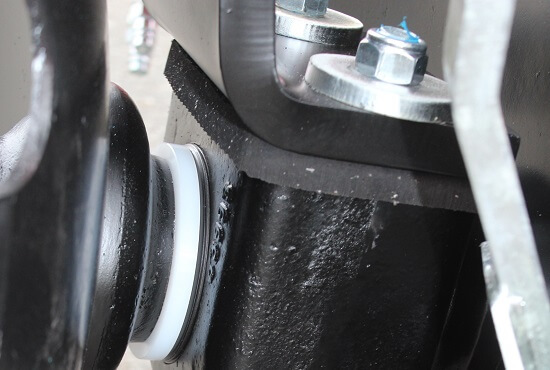 Willet bearings are also triple sealed and non greasable which reduces maintenance requirements. 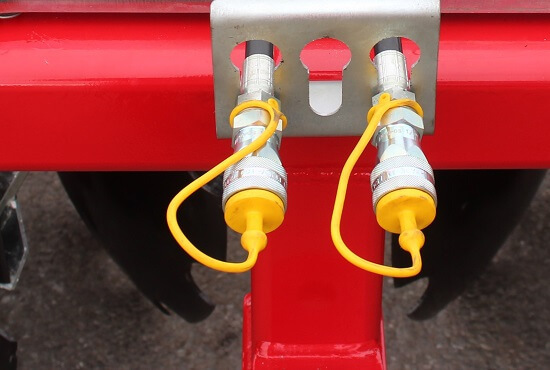 All grease points on Rata Tandem Discs such as the transport wheel axle pivot here are easily accessed. 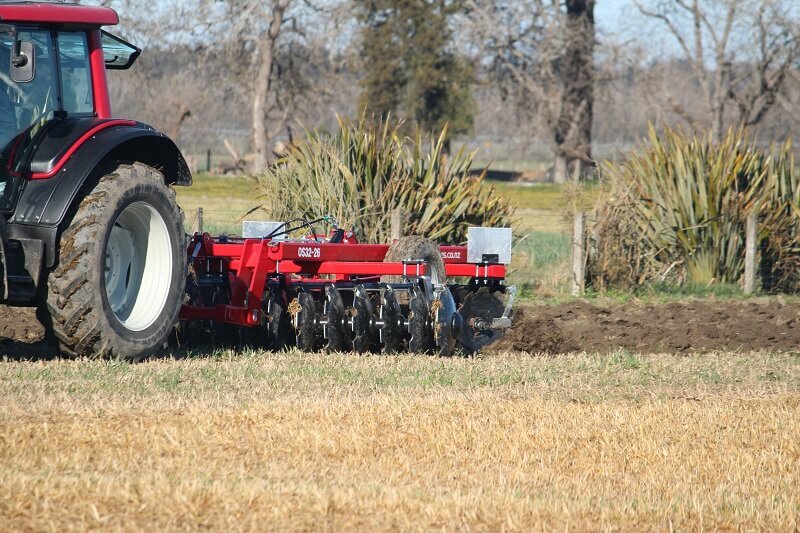 This helps to keep maintenance and up keep requirements quick and easy. 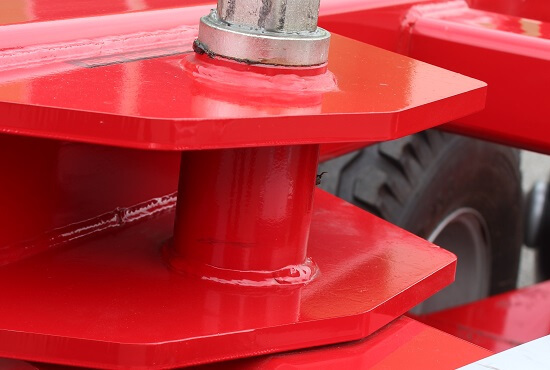 In every four corners of the disc frame there is an eye for a lifting hook, this means the discs can be easily handled with any lifting rig such as a Hiab, Telehandler or large forklift without damage. 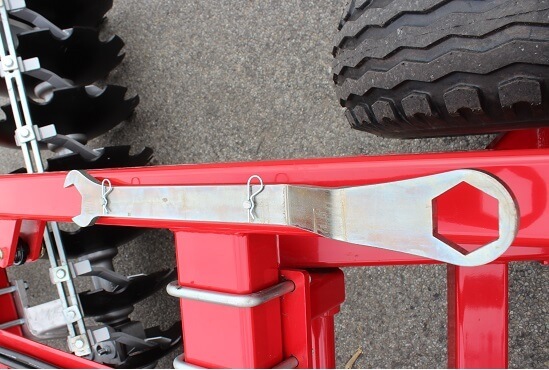 This is handy when transporting the discs long distances. 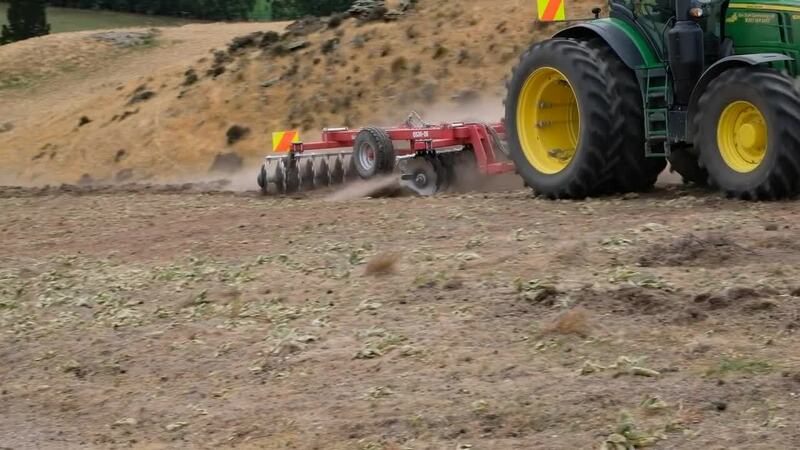 A swivel tow eye on Rata Disc cultivators ensures maximum safety as the discs and tractor can move independently to each other. 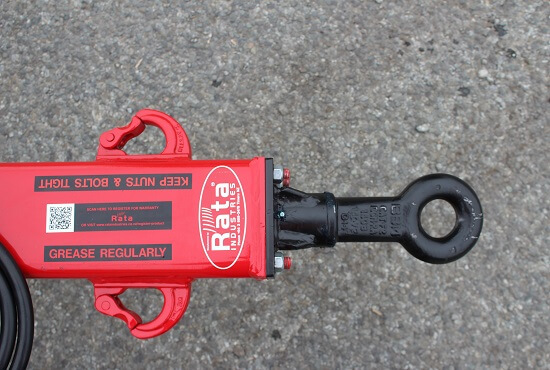 Rata Discs also feature additional safety chain mounts/hooks for road travel as seen in this picture. 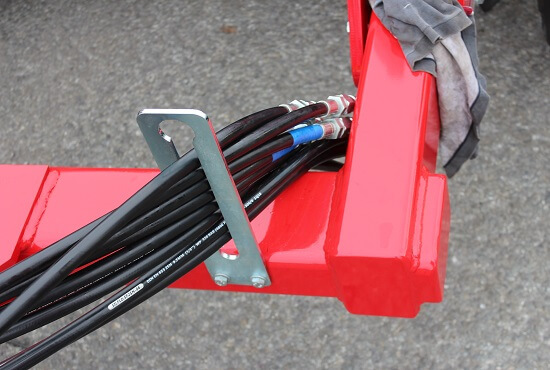 The standard hose holder is designed to keep all hose ends in one place and off the ground away from damage when not in use, this also serves as an ideal place to store hoses not in use when in operation. 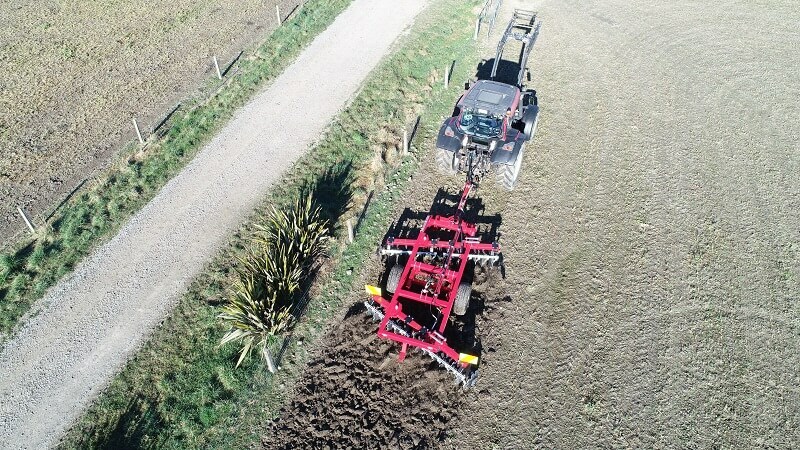 Rear auxiliary hoses are an optional extra for all Rata Disc Cultivators, these can prove handy when pulling another implement behind that requires auxiliary hydraulic hoses. 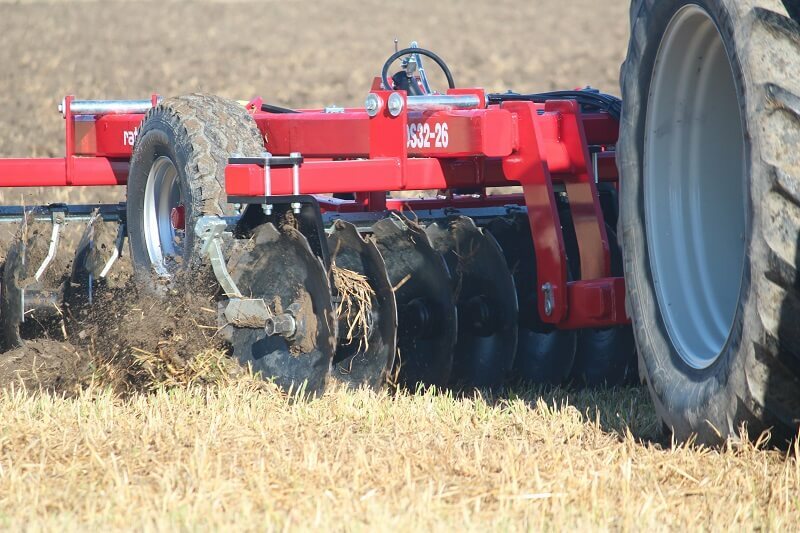 I'm impressed with the results these discs give, they contour the ground & hills while staying in the ground actually disking, even in this harder, dryer stony ground so I'm pretty pleased. 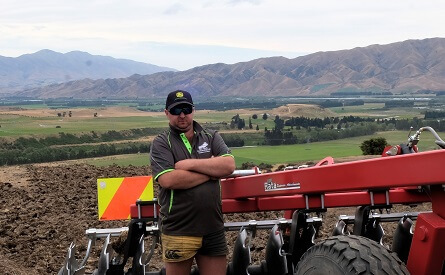 Being a heavier weighted disc they bite into the harder ground really well. 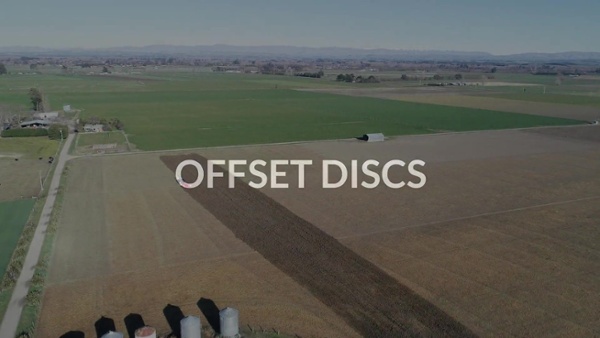 Offset Discs are sold throughout our nationwide network of dealers, find your nearest one today.